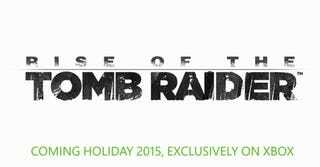 UPDATE (8/13): Turns out Microsoft was just being misleading—Rise of the Tomb Raider is a timed exclusive. It'll come to other platforms later. Wow! Microsoft just announced that Rise of the Tomb Raider, announced earlier this year at E3, will be an Xbox exclusive out holiday 2015. Rise of the Tomb Raider, developed by Crystal Dynamics, will be a sequel to last year's Tomb Raider reboot. Publisher Square Enix announced the game at this year's Xbox E3 conference (trailer below), but we all kinda assumed that it'd be a multiplatform game. We assumed WRONG.